The blog of Nathan Sumsion. Professional Game Designer. Author. I was on a podcast! The very talented Rekka Jay invited me to talk on her HybridAuthor podcast, where we discussed my book Necropolis PD, my process in writing it, and how my experience in making role-playing games and video games contributed to my writing process. Rekka writes science-fiction and steampunk books under the name R J Theodore, and her recent book Flotsam is one that I really enjoyed. I had a lot of fun talking to her. Why did I write Necropolis PD? Why did I write Necropolis PD, and how did Crunch Time almost destroy my writing debut? Necropolis PD, my debut novel, will release in a few short weeks, and I’ve been thinking back a lot to how the book came about, and why I decided to write it. I’ve always wanted to write books. As far back as I can remember I was writing stories. After school I was drawing comics, playing role-playing games with friends, creating adventures in my mind and on paper, and I was reading voraciously, anything in the science fiction, horror and fantasy genres. In high school and college, I wrote in my spare time. I managed to write a single published issue of a comic. I submitted a few short stories to magazines. I started work on creating a role-playing game with some friends. I ran numerous role-playing campaigns, both around the table and with friends online. And in the back of my mind, I was putting together ideas for books I would someday write. With the release of my debut novel Necropolis PD only a few weeks away, I thought I’d talk about the processes that brought the book to life, or at least some of the influences that played a hand in its creation. The first topic I’ll discuss is how my experience in game design factored into the creation of the world of Necropolis PD. 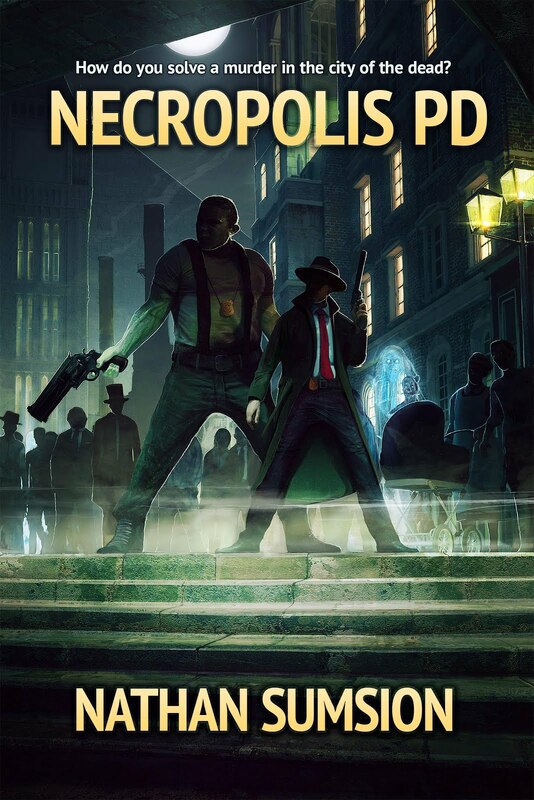 Necropolis PD is available for pre-order! My debut novel Necropolis PD is now available for pre-order! Click the link to find out more about the book and where you can order it. I'm really excited about the book. It was a huge amount of work, the cover looks amazing, the team at Parvus did a tremendous job. I couldn't be happier. I decided to try my hand at streaming playing a game. Looking through my collection of games on Steam, I chose Shadowrun Returns by Harebrained Schemes as my first game. It's fun, it looks great, and I'm curious if a second playthrough with a different character and making different story choices will substantially change the experience. I don't have a regular schedule yet, but hopefully I can do a follow-up session soon. Last post on this subject for a while! In previous posts I’ve discussed communicating with your publisher and with your development team. As a game designer, the third group of people you have to communicate with are your players. In my previous post I discussed Communicating with Your Publisher. Let’s assume you’ve cleared that hurdle, a publisher has agreed to fund the project, contracts are signed, hands shaked, you’re good to go. Now you have to make the game. What do you have to communicate to the team that is actually going to make the game? I don’t mean just generally being polite and communicating nicely. What information about the game do you actually need to convey? You will have programmers writing code, writing scripts, getting the engine to function or customizing an existing engine. They need to know what they are coding. 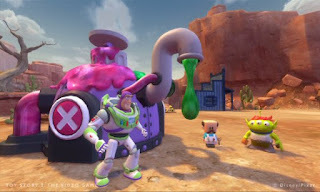 You have artists that need to develop or follow a consistent visual style and build all the assets going into the game. They need to know what art they are creating. Designers all need to be using the same tools, following the same guidelines, so the game flows from one area to the next. They need to know what content they are creating. I've been a professional game designer since 1998. Currently I'm a Game Design Director for deeproot Studios, LLC. 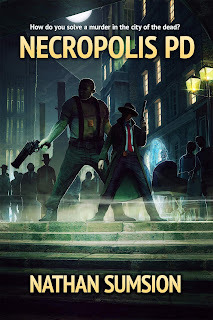 I'm the author of Necropolis PD, coming soon from Parvus Press. My debut novel Necropolis PD is available for pre-order! Click the image for links to pre-order. My current project. 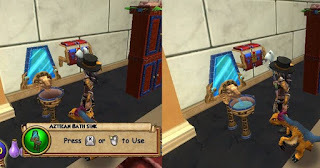 Check out a free-to-play, fun MMO. 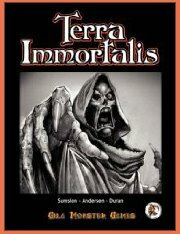 Terra Immortalis is a fantasy-themed RPG I published several years ago. Buy it on Amazon, Lulu, or Barnes and Noble, or major online retailer of your choice. Shadowrun Dragonfall. PC. My score: 7/10. Shadowrun Returns. PC. My score: 9/10. Monster Hunter World. PS4. My score: 6/10. Mass Effect: Andromeda. Xbox One. My score: 9/10. The Witcher 3. Xbox One. My score: 10/10.